Getting help at Ace is like going to your neighbor. Now on your iPhone! 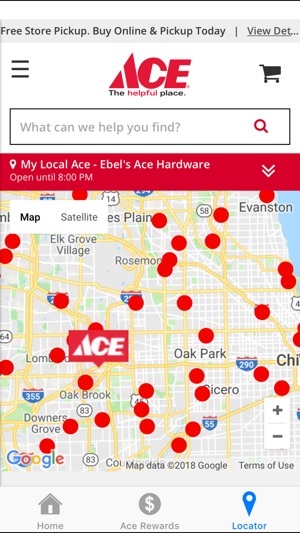 Quickly find your local Ace and view store services, departments, featured brands and upcoming events. You’ll also be able to check store hours and receive driving directions from your location. 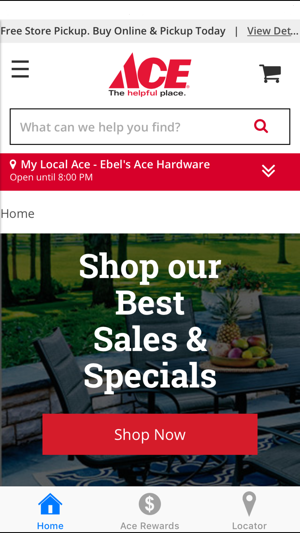 Browse and shop everything from lawn & garden supplies to hardware to outdoor living and receive Free Store Pickup at your local Ace. You’ll find great items from primo brands such as Weber, Craftsman, YETI, Toro, Traeger and more! 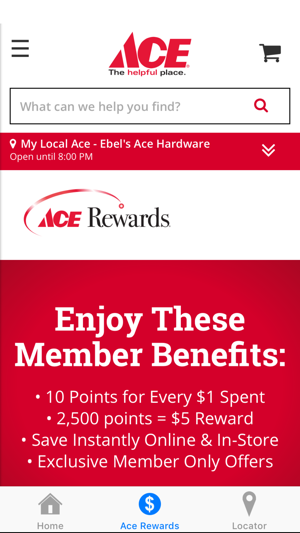 Ace Rewards members can use the app to redeem Rewards, check point totals, review purchase histories and update profile information. Not an Ace Rewards member? You can sign up right in the app and receive 1,000 bonus points! 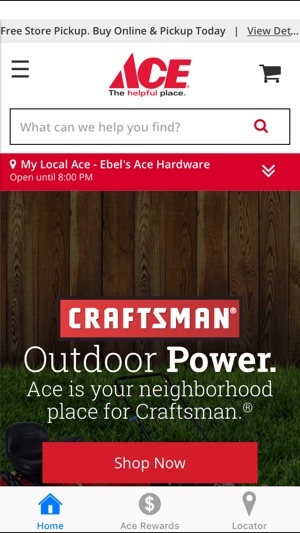 View your local store’s ad right on the app to find great deals throughout the store. Do yourself a favor by deleting this app and using the “phone number lookup” method at the register. Honestly, this app is so bad, I actively seek out retail competitors at which to shop. (Home Depot, True Value, the Swap Shop at the town dump - anything but Ace.) I almost never write reviews, but Ace Hardware and its useless app earned this one star. Ace needs help in their IT department, if that’s who’s responsible for Apps First I tried ordering from the website and it never worked. Then I downloaded the App Ace Shopping. The app didn’t work for me. I tried to delete it and could not even do that. Finally, downloaded the App ACE and, over the next half hour, worked to order a product they sell. I don’t have more time to waste and won’t describe this whole experience when the APP, seemingly “lost” my entries, forcing repeated steps to make sure I could order. ACE you need help. I’m using an iPhone 8 Plus and many other apps work fine.